Ellen DeGeneres and wife Portia de Rossi are thankful that they don’t have to spend the holidays hunting down Frozen dolls or Teenage Mutant Ninja Turtles action figures. The Huffington Post shared a video of Ellen reading her holiday letter, and in it she mentioned being child-free. During an interview with OUT magazine, Portia de Rossi talked about the decision she and Ellen DeGeneres made to remain child-free. According to Us Weekly, Ellen told Jay Leno that she’s not going to change her mind about having babies. Ellen DeGeneres and Portia de Rossi might not have any kids to brag about in their holiday letter, but their family update couldn’t get any more impressive. In the video clip below, Ellen brags about getting her wife to spill Scandal spoilers, getting to chat with Jennifer Aniston and former president Bill Clinton, and hosting the Oscars. 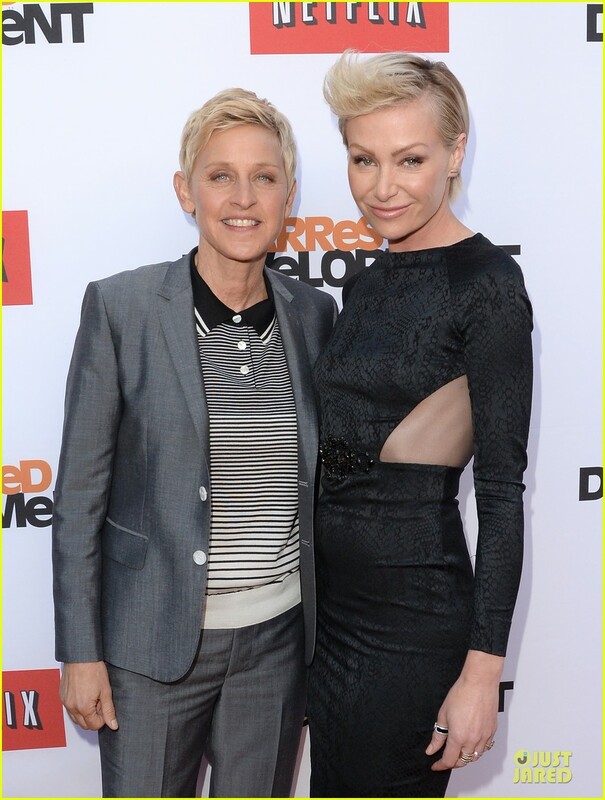 As the Inquisitr previously reported, Ellen and Portia also recently celebrated being together for a decade. That’s a very impressive feat in Hollywood. No one will want to send out their holiday letters after hearing Ellen list her and Portia’s many accomplishments. If Ellen DeGeneres and Portia de Rossi actually decide to send out their hilarious holiday letter, it will likely be accompanied by their hilarious Christmas card featuring Kim Kardashian’s glossy naked glutes. As the Inquisitr previously reported, the card was created using one of Kim’s internet-breaking Paper Magazine photos. You can’t send out a Christmas card like the one below if you have kids. Are you sad that Ellen DeGeneres and Portia de Rossi don’t have any kids to celebrate the holidays with, or do think it’s refreshing that they’ve chosen to remain child-free?